Location: From Boulder Junction, continue south on County Hwy M approximately 4 miles to a parking area on the west side of the highway. This easy hiking trail meanders around a mature black spruce tamarack bog as well as along Trout Lake, offering a beautiful view. Great trail for spring wildflower hikes. Also open for snowshoeing. No bicycles or pets allowed. 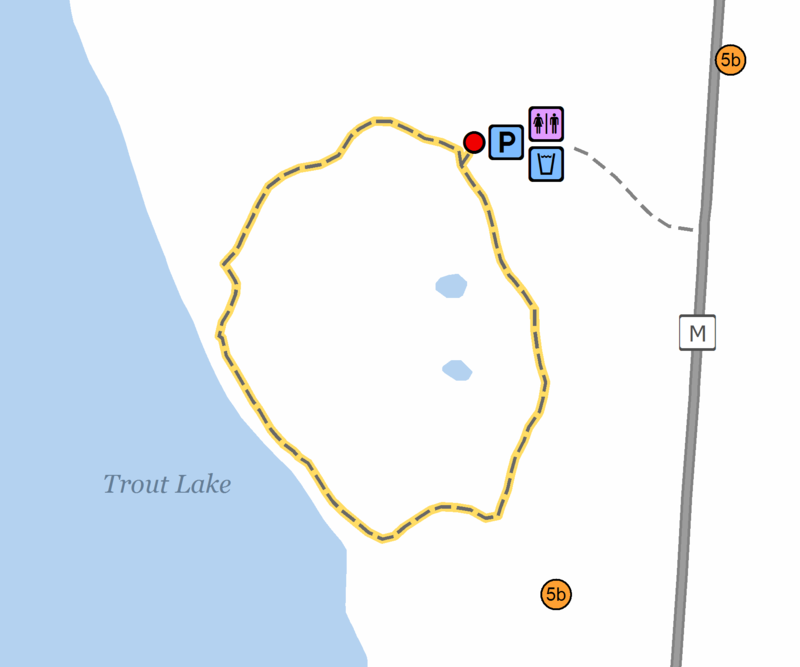 A state park sticker is required to park at the North Trout Lake. Campground parking area.